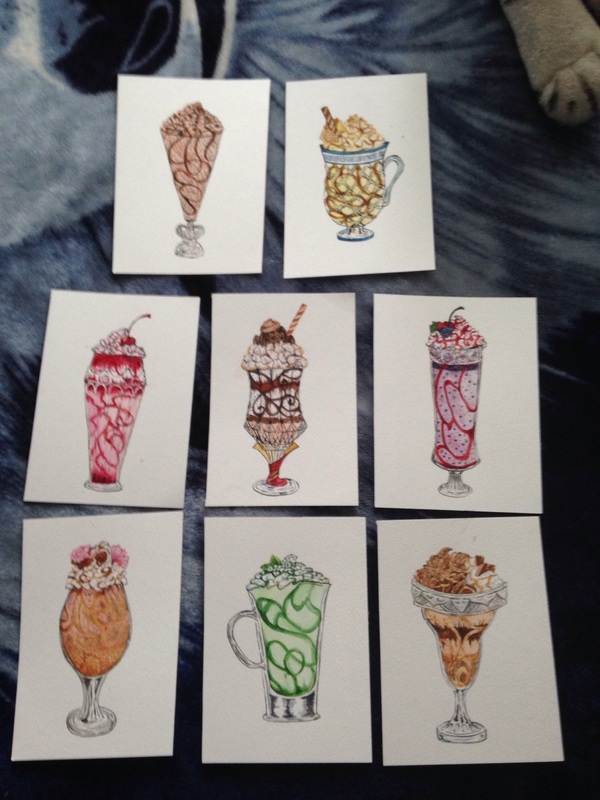 The milkshakes are all painted and ready to be scanned. I just did the last one yesterday. These were a lot of fun to do and they look so yummy too.